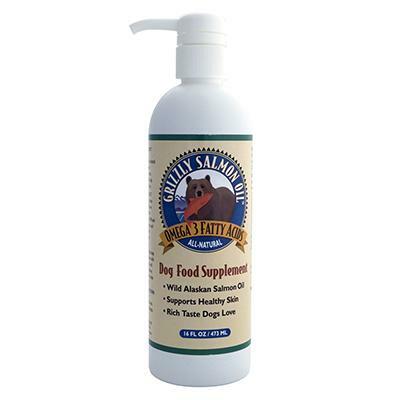 This high quality oil supplement is made from wild Alaskan salmon. With over 15 Omega-3 and Omega-6 fatty acids, it's a great way of helping your pet look and feel its best. Long-chain Omega-3 fatty acids from salmon have higher bioavailability than plant-based Omega-3 fatty acids, and help maintain healthy joints and beautiful skin and coat naturally. In addition, your pets will love the rich taste so it's great for finicky eaters. Useful for both dogs and cats.